I've been pretty busy this week so far, but a week out from Ant-Man (which I loved! ), and it's now time for a new manicure. 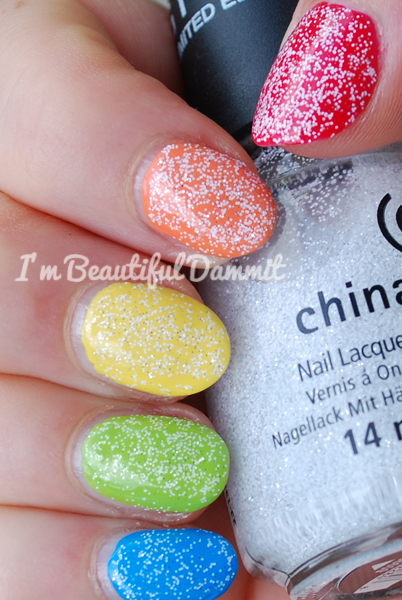 Today, I wanted to just doing something colorful and simple, so I did a Rainbow mani with a glitter top coat. 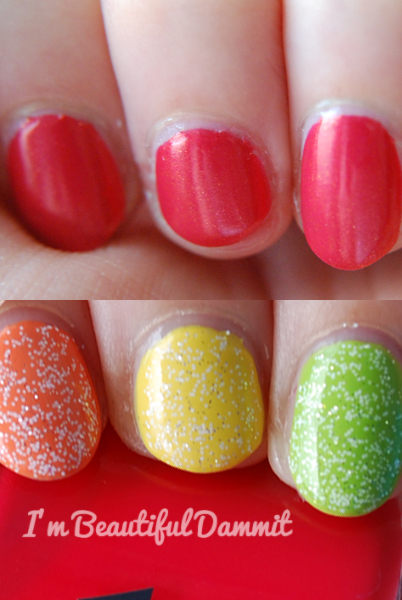 I am new to taking pictures of my nails, but in person, my nails actually look like sugary gumdrops. Unfortunately, I wasn't able to capture the look in these pictures as well. Hey, I'm trying! Okay, so it's been ten days since my first blog post about my nails. Let's check on Little Sis. As you can see, she's well on her way back, and now I don't have to worry about getting polish on my fingertip, since the free edge isn't so close to the skin. All of my nails are coming in nicely. This was a pretty simple manicure, so I don't think I need to tell you how I did it. I'll just give you the colors, and talk about the formulas. First up, we have Eye-Poppin' Poppy by Ulta. This is a very bright orangey-red. 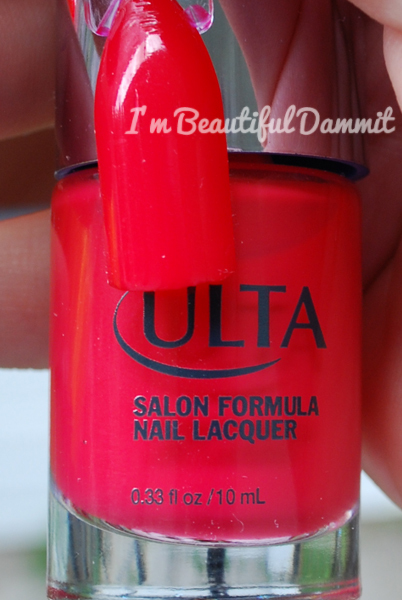 Really cheerful, bright color for the summer. It leans a little more orange in person, but not much. The formula for this one was easy to work with, My only gripe is that it took a long time to dry between coats, and was a little tacky to the touch. Nothing a good top coat can't help with. I used two coats here. My second color is Where Did Suzi's Mango? by OPI. 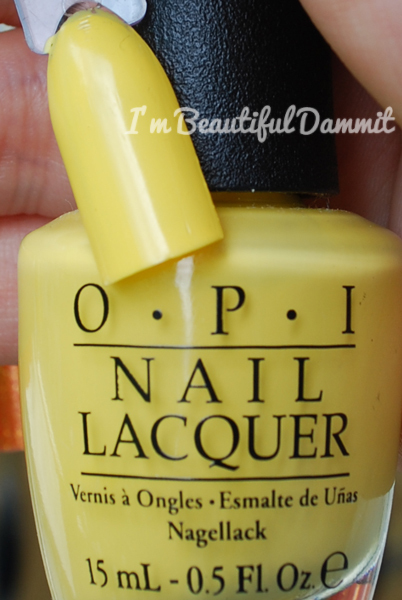 This was from last summer's Brazil collection, which was one of my favorite collections OPI has put out. I had to have every single color in this one. I absolutely love all of these colors. 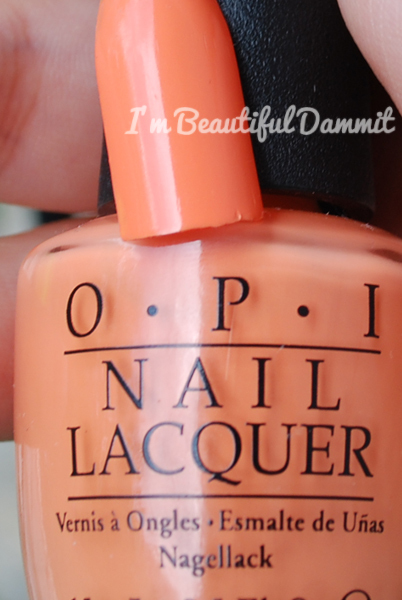 This is a creamy, bright orange, and as you can see, it dries a little darker on the nail than what it looks like in the bottle. The formula is good on this one. Easy to work with, and builds to full opacity in two coats. This next one is from the very same Brazil collection, and it's called I Just Can't Copacabana by OPI. It's a nice subdued yellow creme. It's not too bright which I like. This one was easy to work with, but it might take 2-3 coats to get full opacity. I used two, but to be honest, I probably could've used one more pass. However, I was in a little bit of a hurry to finish up my nails, as I had other pressing issues to deal with today. C'est la vie. Next up, is Leonardo's Lime by Finger Paints. This is a nice, bright, but not too bright yellow-green. The formula here was pretty good. No complaints. I used two coats. My last color, is a color you're already familiar with from the Emma Stone manicure I did last week. 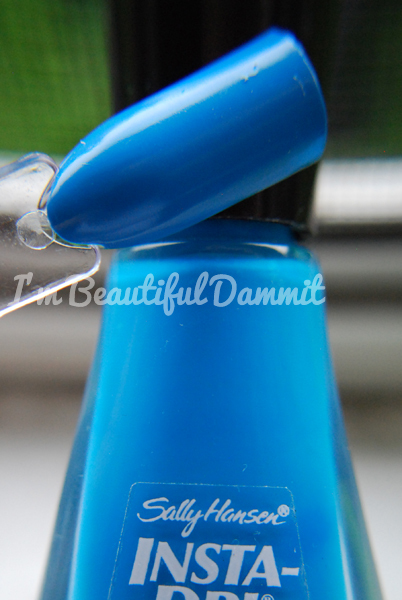 It is called Brisk Blue by Sally Hansen. It can be a one-coater, but it is a stainer so make sure you're using 1-2 base coat layers. Finally, for the glitter layer is a really great one from China Glaze called The Outer Edge, and it's from The Giver Collection. This polish has tiny white glitter, combined with silver microglitter, and it just looks wonderful in person, but not in these pictures. Very sorry. 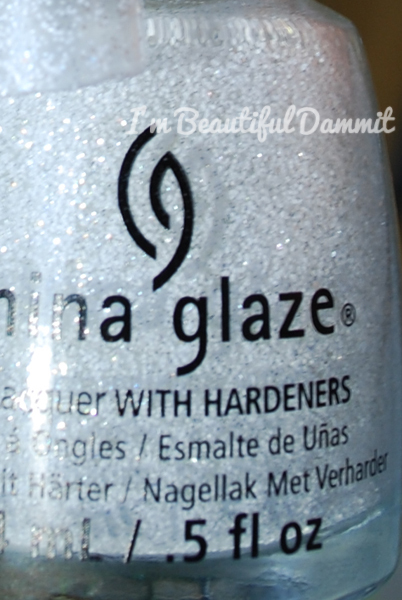 The formula for this is great, and the glitter payoff is outstanding. I only needed to use one coat over each nail to get them looking like delicious little gumdrops! 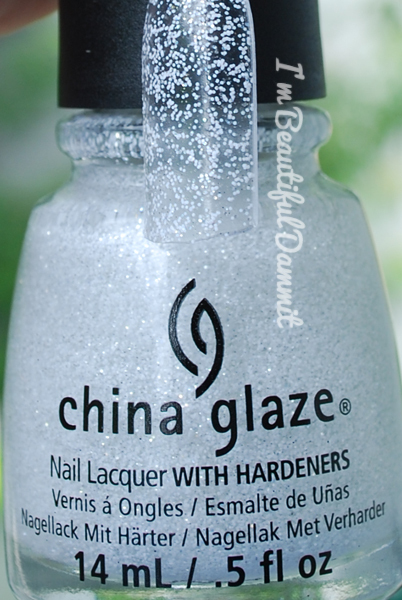 I also love this topper to use with holiday nail art, as it looks like a little bit of snowfall or a light sugar dusting. There's so much to do with this, and it's an easy way to spruce up your plain old colors without taking too much away from them. A close-up of the glitter mixture.